Did you notice, Sitecore came up with the all new Sitecore Experience Commerce 9? Yes, my dear friends, Sitecore released Sitecore Experience Commerce 9 Initial Release this January, And this weekend, I got a chance to install it in my Sitecore Experience Update 1 Instance. First and foremost, Sitecore Experience Commerce 9 Initial Release is the Sitecore’s Latest Commerce Platform with all new Catalog management, Inventory management, Business Tools as well as Storefront (built using Sitecore SXA). As Sitecore call the Experience Platform as XP – the short name given by Sitecore for their new Commerce Platform is XC – So, lets refer to it as Sitecore XC – for Sitecore Experience Commerce – cool isn’t it? 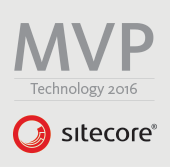 Sitecore XC Initial Release is compatible with Sitecore Platform Update 1. New Sitecore Experience Commerce (Sitecore XC) branding, applicable starting in release 9.0. New Catalog, Inventory, and Customer subsystems. New single-page business tools application for all business tools, launched from the Sitecore dashboard. It has been developed wtih Angular 4. The contents are driven from within the Commerce Engine plugins, so changes are easy for developers to make. New Storefront solution based on the Sitecore Experience Accelerator (SXA) module. The 8.x to 9.0 Upgrade and Migration feature has not been completed; it will completed in a future release. The generalized default Catalog system schema – for products (“sellable items”), Catagories, and Catalogs – cannot be modified from the Business Tools. For the StoreFront, the Cross-brower support is not fully implemented. Using virtual directories when creating and configuring SXA Storefront sites in SXA is not fully working correctly. Creating storefront sites when in another language than English will have some parts of the content turn up in English anyway. A great thing to understand, as this is the first of the Sitecore Experience Commerce 9, its good to check with Sitecore team, if this version can be used for a client project, or not. I am sure they can guide us to a better way forward about what is the best way. Excited about the release? Well, have a look at the complete list here: Sitecore Experience Commerce 9 Initial Relase Release Notes. Happy Sitecoring and Happy Commercing!